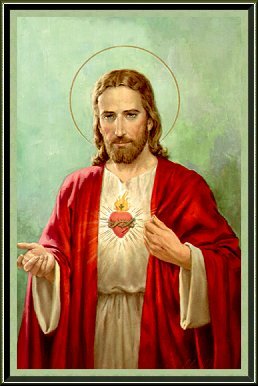 When we know a desire of our Lord's Sacred Heart, and it involves the sanctity of another, out of love for that Sacred Heart, we must seek to do much penance and sacrifice so that the desire of Our Blessed Lord should be fulfilled. God needs nothing from us, but is God not moved by a heart that loves Him so that much that much his offered in the way of sacrifice so that another may become sanctified? What joy there is to see the Sacred Heart happy and fulfilled by its desire!